While you may view childhood as the ideal time to make changes to the position of your teeth, it’s never too late for self improvement in any form, and your smile is no exception! More adults are opting for orthodontic treatment regardless of their age, and those same adults are coming away with the smile they’ve always dreamed of. What’s stopping you from achieving the straight smile you’ve always desired? Crowded or overlapping teeth can raise more problems than just cosmetic concerns. Teeth that don’t line up properly are difficult to clean, making tooth decay and gum disease all the more likely, and teeth that don’t come together properly when biting can even cause chewing, swallowing, and speech problems. Is there such thing as a perfect age to get braces? Turns out, it comes down to a few considerations on when that perfect time might be. Your teeth and bones are still forming when you’re younger which makes orthodontic treatment quicker and more simple before everything solidifies. For this reason, orthodontic treatment is almost always recommended at an earlier age, although still completely possible for adults or patients of any age. Straightening your teeth means moving them into new places, and there needs to be enough additional space in your mouth for those teeth to be able to shift. If you do not have enough space in your mouth, your orthodontist will need to create extra room with the aid of extractions, spacers, or an expander. This type of preparation period will take several months, so the sooner you get started, the closer you are to a straighter smile. Your teeth will be healthier – With crooked teeth, it’s a lot harder to properly brush and floss, and plaque and bacteria tend to buildup in those hard to reach places. If you find yourself getting a lot of cavities and dealing with gum issues, than a straighter smile may be the answer you are looking for in how to achieve better dental checkups. Your overall health will improve – Poor oral health also increases your risk for other health issues like heart disease and stroke. As our bodies age, we are already at an increased risk of these diseases, and crooked teeth can add to the risks of you developing a serious health issue. Regain your lost confidence – Many adults who suffer from crooked teeth are self-conscious of their smile, which can cause serious confidence issues leading to issues like fear of intimate relationships, being more introverted, and even being held back from advancements in your career. If you’re too embarrassed to smile, you’re already suffering. Today’s adults have many excellent, non-invasive options for straightening their teeth than traditional metal braces. If the thought of metal brackets and wires are holding you back, we don’t blame you! Thomas Orthodontics offers different treatment options to ensure we find the right fit for you. Clear Aligners. Removable aligner trays are the newest way to shift your teeth. They allow adults and other patients who may be self-conscious wearing braces to straighten without shame. The aligners are fully removable to allow for easy eating and cleaning. Wearing your aligners for specific hours of the day will leave you with a straight and healthy smile. Ceramic Braces. Providing similar straightening power as metal braces without giving away that you’re wearing braces. These tooth-colored brackets blend with your teeth to straighten more subtly, with the same treatment plan as traditional braces. Metal Braces. The tried and true form of straightening, metal braces have been correcting bites for decades. Although they’re not the most aesthetic option, braces are a highly effective way to straighten teeth. Ideal for children and teenagers who may not be up for the responsibility of removable aligners. We want to help you achieve the smile you’ve always wished you had. 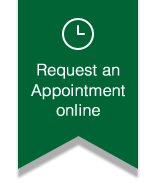 Get started by scheduling a consultation with Thomas Orthodontics today!